Archie Goodwin's temporary role as Editor In Chief ends about halfway through 1978, with Jim Shooter taking over. However, a lot of the changes that are associated with Shooter actually happened during Goodwin's run, including a tightening up of the production process and a transition into smoother, more professional (if less 'artistic') comics. John Verpooten's unexpected death is announced in the June Bullpen Bulletin. It is announced in the July Bullpen Bulletins that Jim Shooter has taken Archie Goodwin's place as Editor In Chief. Goodwin will soon become editor and writer for Marvel's Epic line. Epic is a new endeavor for Marvel: it's an attempt to publish more creator driven and less super-hero focused books. It started as a single magazine, Epic Illustrated, but eventually became a line of books, almost entirely not part of the Marvel Universe continuity. Overall, things are competent, with some high points. This is a much better state than the early and mid 70s. Creator notes: The quality of the books continues to improve under Goodwin and Shooter. Shooter's Korvac saga in the Avengers is definitely one of the year's highlights. In a sense, the Korvac Saga tries to reproduce Starlin's Thanos epic and it solidifies the concept of a "cosmic" storyline, but it's also notable for the sheer number of characters as well as its connection to the rest of the Marvel Universe. Roger Stern begins writing the Hulk, and starts using Doc Samson to delve into psychological aspects of the Hulk that have always been there as subtext but never really explored. John Byrne joins Claremont as a co-plotter on X-Men and they continue to push the book to new levels of quality. The Claremont/Byrne team also make Marvel Team-Up a book worth reading, and they create an interesting pairing by grafting their Iron Fist character onto Power Man's book. David Michelinie and Bob Layton begin writing what many people consider the definitive Iron Man run, but it's just starting up at this point and there isn't a lot to judge by. Sadly, David Anthony Kraft seems to lose interest in writing the Defenders and eventually leaves the book, and the quality declines rapidly in his last issues and those of his replacement, turning what was once one of Marvel's best and most innovative books into a mess. 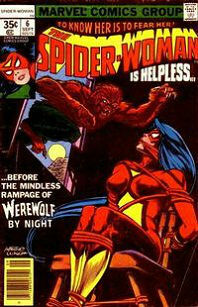 Mark Gruenwald begins his first regular book with Spider-Woman. In general, the problem is that there still aren't enough quality writers to cover all their books so when Claremont drops off from a book like Team-Up or Power Man/Iron Fist, it more or less goes back to the quality of the mid-70s, albeit with less sloppiness than books from that era. Similarly, on art, John Byrne is great, but he's only on two or three books a month. George Perez is still at Marvel, but he's slow and doesn't even finish the Korvac Saga. 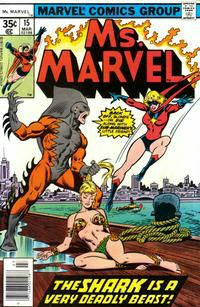 Carmine Infantino does some decent work on Spider-Woman, but for some reason doesn't look nearly as good on Nova. Jack Kirby leaves his run on Black Panther mid-story; the art was great, but the writing was just terrible. John Romita Jr. gets his first regular book at Marvel with Iron Man, but he hasn't developed his own distinctive style at this point. 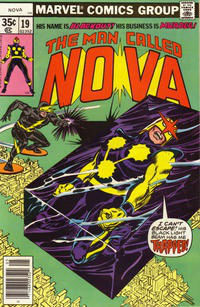 Nova begins a cosmic adventure involving a war between the Xandarians and the Skrulls, but the book is canceled before its conclusion, with the story to be finished in the Fantastic Four. Captain America #217-221 1st Quasar, Ameridroid.